About 8 years ago I made a change to how I approached my training. Well, to be precise, I actually started training and stopped “working out”. It all started with a fitness plan. It’s made a huge difference in how I get results, my overall health and resilience, and my understanding of how my body reacts to stressors. My results in the gym skyrocketed and it all started with a process that occurs outside of the gym; I started following a program that a coach would write for me. My mentor once described a good program as a “helicopter view” of the trainee’s current position and where they want to be. A good fitness plan allows us to see the whole picture and how we will get from point A to point B. “Making it up as you go” or not having a plan at all provides us with what he calls a “car view”; it doesn’t allow us to see the whole picture and leaves a lot to the imagination. How often do you get in a car in unknown territory and leave the navigation up to your imagination? You don’t, right? Because that’s a huge waste of time! Why would you do that in the gym? If you are just starting out, working with a program can be intimidating. 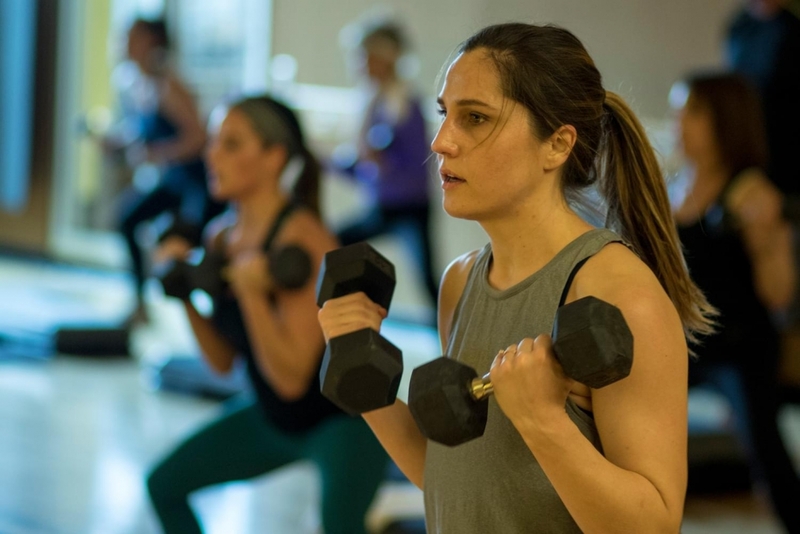 Even a simple program can look very complex on paper and seem hard to read – which is why I’m going to break down FFC’s brand new Workout of the Month program and make sure you feel confident from the start. The first step? Grab your worksheet below! Each Workout of the Month will come in a 4-week block. Why work to an RPE instead of using percentages? The short answer is flexibility and health. Not flexibility in the sense of being able to do the splits, per say, but flexibility in the sense of being able to adjust your working weights to how you feel that particular day. If you got a lot of sleep and ate well before your workout, you may feel like a million bucks and be able to match the RPE with a heavier weight than normal. Great! Some days, you may be tired from a long work day or not sleeping well or whatever life is throwing at you and a lighter weight than normal gets you to the prescribed RPE. That’s cool too! We’re all about getting work done and keeping it safe, relative to our current readiness. Winning! Now that you have your weights dialed in, you can get after it a little bit during week 2. You will usually see increased intensity during this week due to what you figured out during week 1’s exploration. During week 3, you will see a lower volume in your strength work – but that doesn’t mean you’re doing less – you will be adding weight to make up for the decreased volume. This week is known as the “PR and go home week” — get to the gym, work a little bit harder than you have been, and go home feeling satisfied. Hooray! Week 4 is a tough one. This is the pinnacle of your training block that will bring increased volume as well as increased weight. 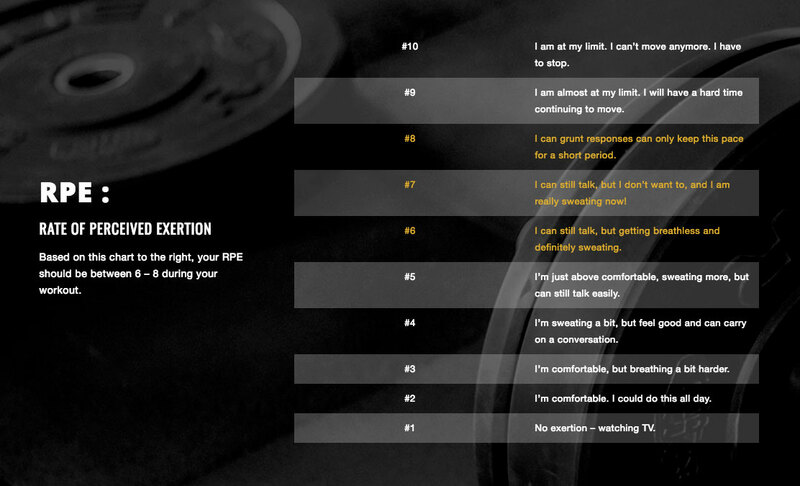 However, as long as you are within the prescribed RPE, you are safe and sound. Here’s the thing… if you stick to the program, you will see that you are able to work with heavier weights but remain at the same RPE. That’s pretty cool, right?! You’re getting stronger!! You’ll notice that the exercises in this program are sectioned off by letter (A, B, C, D). Those letters indicate that those exercises in that letter group are to be performed in succession. For instance, in the A section of the Monday workout you will perform 5 Overhead Med Ball Slams, 10 total (5 on each side) Deadbugs and 10 total (5 on each side) Banded Leg Drops. You will then repeat that circuit 2 more times in that order. Then you will move on to section B and perform those exercises in succession for the prescribed sets and reps. Easy peasy! If you are new to the gym and training in general, ease into it. Any program is to be viewed as more of a suggestion than a rule. For example, you could start with just 1 resistance day and 1 metabolic day for the first week. Or maybe a 2 resistance to 1 metabolic ratio is more your speed. Or, for you gym veterans, you could perform all 6 days. Do whatever makes you feel good! The goal is to feel and move better while getting stronger and more resilient. We don’t need to beat ourselves up – we just need a plan and an honest assessment of our current capabilities. 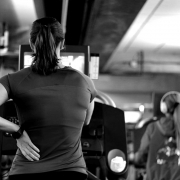 Also – make sure that you are using the key provided to pick an exercise that is right for you. You should be able to perform the exercise you choose confidently and within the RPE for the prescribed set and rep range. If you need help choosing your exercises, please ask a trainer for help. Now that you have your weeks laid out and now how to work with the program, let’s talk about some intricacies. Writing a fitness plan for thousands of people is daunting. How do we fit it all appropriately for the individual’s skill sets and goals? Well, it’s pretty simple if you let it be. This program will be designed for targeting general fitness. It will help you get stronger, lose some body fat, become more resilient, and improve your cardiovascular health. Yes, it really can do all of that! Skill levels will be addressed with exercise and RPE selections. Do what’s appropriate for you! More and more difficult is not better, what is appropriate to you and what you feel confident doing is better. Working outside of your skill set isn’t going to get you to your goals faster, it’s just going to increase the risk of injury and most likely burn you out more quickly. We’re in this for the long game here. Consistency trumps intensity! 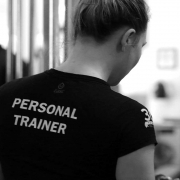 If you are curious to learn more about the exercises in this program or want to gain a better understanding of it, feel free to strike up a conversation with one of FFC’s trainers. We want you to succeed and get the most out of this offering! Professional guidance is never a bad idea when you are working toward a healthier you. We hope that this helps get you started on your journey. Questions will come up and that’s ok, just contact a trainer at your club and they will be happy to help you at any point. We are very excited about this opportunity to expand our service to you and the quality and value it will add to your fitness journey! 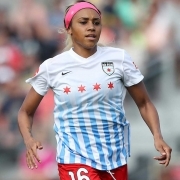 Post written by FFC Oak Park Fitness Director Mike Connelly. 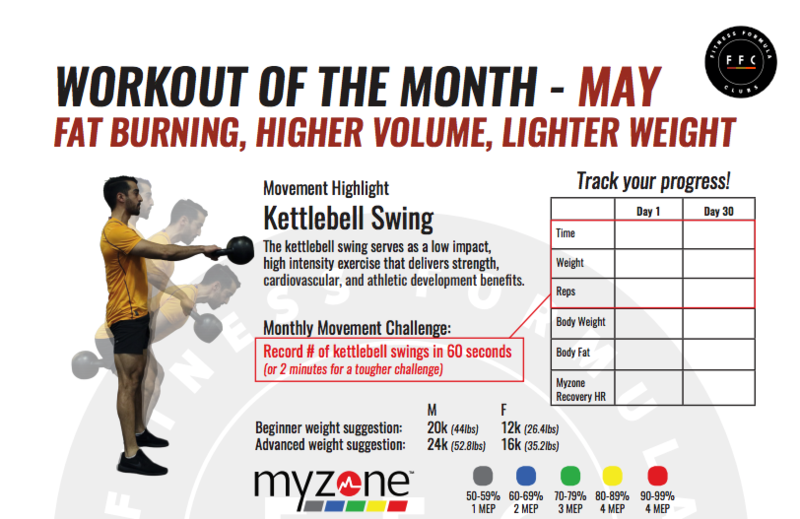 Check out the move of the month – the kettlebell swing! 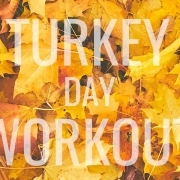 Thanksgiving Workout: Try One of These Two Themed Sweat Sets on Turkey Day!